It is one of the most magical sights that you can find in Galicia: you drive or pedal through the twisty roads of the interior of the province of Lugo, narrow and often covered by a roof of native vegetation and, suddenly, before your eyes appears a majestic medieval tower. That’s the case with the fortress of San Paio de Narla, one of the best preserved in the region. It contains an interesting collection of objects through which you can learn how Galicians lived until not so long ago. Watching its serene beauty it is difficult to deduce that, at some point in time and like many other Galician castles, it was the scene of terrible and violent fights. San Paio de Narla, or the tower of Xiá, as it is called in reference to the parish of the municipality of Friol in which it is located, stands about thirty kilometres from the provincial capital. To get there, one must cross the Miño through the new bridge, take the LU-232 road to Friol and once in the centre of this town take the road towards the castle, perfectly signposted. Dominating the bed of two small rivers from a modest height, probably an old “castro” (a Neolithic settlement), San Paio de Narla stands out for its imposing keep, which rises into the sky with sobriety. The building’s origin is probably prior to the fourteenth century, although most of what is still visible nowadays was built after the sixteenth century. The reason, as with many Galician castles, is the Irmandiña (“brotherhood”) Revolt of the mid-15th century. During the so-called Great Irmandiña War (1467-1469) the vassals rebelled against the vile living conditions imposed on them by the feudal lords, demolishing a good part of the buildings that symbolized their power: the castles. 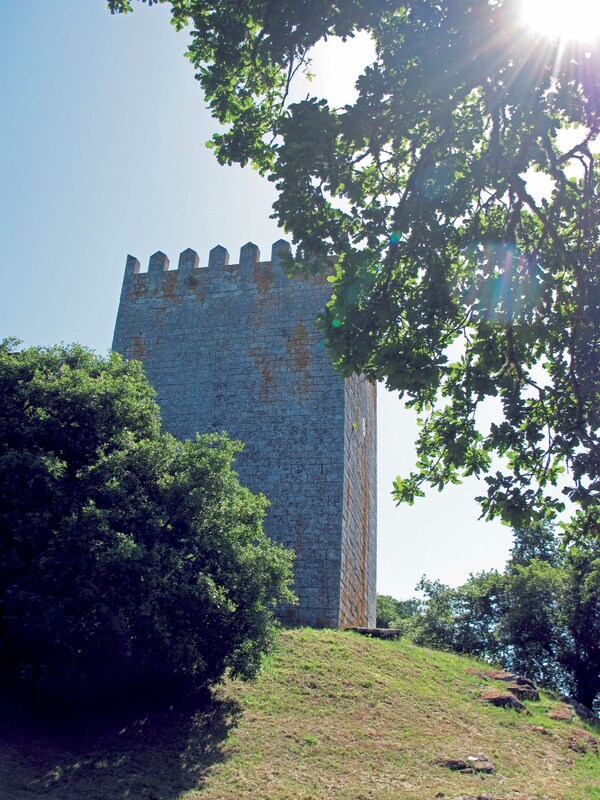 San Paio de Narla was no exception, but with the defeat of the Irmandiños and the triumph of the lords, the tower was rebuilt and served as the residence of noble families well into the nineteenth century, a much calmer use within the agrarian Galicia of the old regime. It is mandatory to climb to the top of the keep. From there you can see a spectacular view of the Lugo region and the Ulloa, an area that is worth visiting at leisure. The building is full of details that will fascinate those who stop and take notice, such as the chapel, with its peculiar altarpiece and a small organ. Since 1983 the castle hosts the ethnography section of the Provincial Museum of Lugo. It houses, therefore, a large collection of tools, machines and utensils, clocks, furniture, means of transport or items of clothing used by Galicians throughout the centuries, mainly in the rural interior. The collection of weapons is especially striking, harbouring varying objects from a 16th century Spanish colonial armour to a samurai armour, as well as numerous types of shotguns, small cannons, knives, swords or machetes.